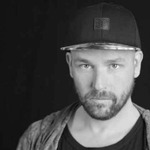 Sander Kleinenberg has successfully spent 20 years in this business and has been producing music, remixing records and touring the globe non stop ever since. His expertise in making music is second to none and his wisdom even outside the technical aspects really made this In Studio course extra special. Watch & learn how he created his new record which he exclusively made for our FaderPro release. His signature sound really comes out in this course, from his vocal manipulation to his standard bouncy but dirty bass, to the DJ purest arrangement that can only come from Sander Kleinenberg. He leaves nothing for the imagination and over delivers for all of you to indulge.